Delta is currently leading a project team, which includes Booz Allen Hamilton, on a five-year, $10 million open-end contact with the Federal Transit Administration's (FTA) discretionary New Starts program. New Starts is the federal government's primary financial resource for supporting locally planned, implemented, and operated transit "guideway" capital investments. From heavy and light rail to commuter rail and bus rapid transit systems, the FTA's New Starts program has leveraged hundreds of new or extended transit fixed guideway systems across the country. Under the contract, Delta conducts financial assessments of proposed New Starts projects. 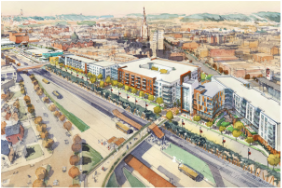 Eastside Development is a $350 million mixed-use development project located adjacent to the Busway in Pittsburgh’s East Liberty and Shadyside neighborhoods. 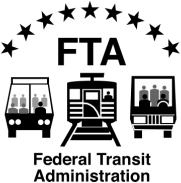 To support revitalization efforts and remove the physical and socioeconomic barriers created by the 1960s Busway, Delta structured an overall approach to integrate multimodal systems to ensure the Busway, main line, and on-street feeder bus services were linked effectively for bus riders, bicyclists, and pedestrians. By creating better access across the Busway and eliminating gaps in transportation infrastructure, the East Liberty and Shadyside neighborhoods are now reconnected and being revitalized with new mixed-use development. ​Eastside Development has achieved LEED-ND Stage 3 Gold making East Side III the first LEED-ND Gold project in Pennsylvania and the second certified LEED-ND project in Pennsylvania after Edgewater in Oakmont. This project raised the bar not just for Pittsburgh but for development across the country. Delta served as a sub-consultant to Michael Baker, Jr. Inc. on a five-year, $15 million open-end contract to the Pennsylvania Department of Transportation’s (PennDOT) Bureau of Public Transportation (BPT). Under the Public Transportation and Multimodal Open End contract, Delta was responsible for undertaking a variety of diverse projects on a work order basis for the BPT and the Commonwealth’s 74 transit agencies. Sponsored by the Southwestern Pennsylvania Commission (SPC), Delta was selected to identify the unique factors that make Transit Oriented Development (TOD) successful in the region and create an evaluation tool for future TOD projects. Leading a team including Fourth Economy Consultants and URS Corporation, Delta gathered data to determine how TOD previously occurred along the region’s bus, light rail, and commuter rail lines. 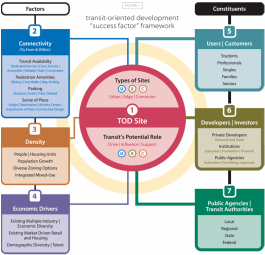 From the results of this study, the team then designed and developed a step-by-step workbook called FIT – Future Investment in TOD, a tool that planners can use to determine whether TOD is an effective method for planning and developing a site around transit station areas. Dormont Junction Transit-Oriented Development (TOD) is a $56 million redevelopment of an existing Port Authority of Allegheny County (PAAC) park-and-ride facility that capitalizes on existing transit infrastructure and advances community development goals. 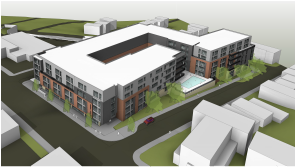 The project consists of construction of a shared-use parking structure that serves as the podium for development of 15,000 square feet of LEED Silver certified retail and 240 apartment units. The first floor of the parking structure provides PAAC's patrons with 166 upgraded and covered park-and-ride spaces with access directly to the Dormont Junction Light Rail Transit (LRT) station. Delta is responsible for coordinating efforts with the Port Authority and other public agencies, obtaining funding sources, identifying transit operations issues and determining solutions, and implementing public outreach strategies.